For various reasons, I'm behind on my AFI films. I watched Patton (1970) over a week ago, and am just now getting to this write up. Well, first of all, I'll cut to the chase. 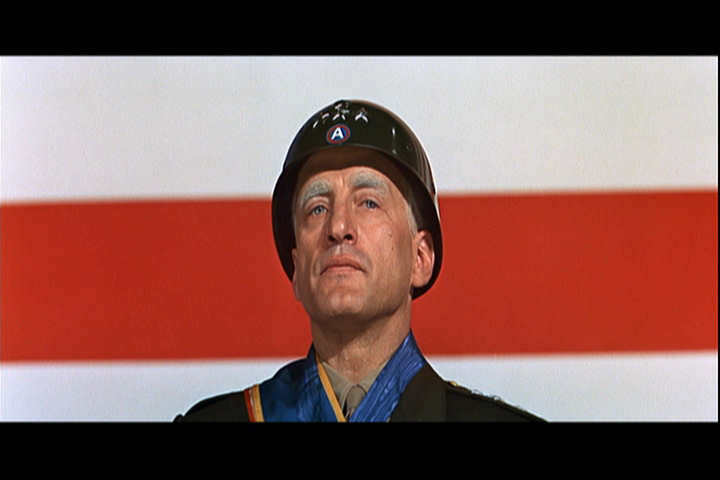 As General George S. Patton, Jr., Gearge C. Scott delivers one of the greatest performances by any actor ever, anywhere. From his opening monologue, he pierces the audience in a way that must be seen. What was it like, I wonder, on the set when Scott was in character? He must have caused several grown men to wet their pants, and feel as small as roaches. Scott is reputed to have said that he never really captured Patton, which I find frightening. He also famously turned down the Academy award for best actor, not believing in competition between actors. 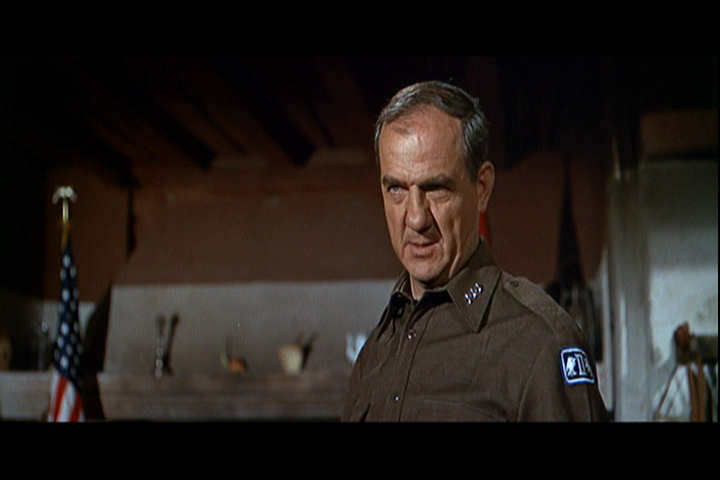 And, he was aided by the superb Karl Malden, who provided an excellent complement. In my view, Malden's is exactly the right performance. He's the human soldier, not brilliantly audacious like Patton, but excellent as the head of the US army (in fact, Patton's superior) who must balance Patton's nerve with national politics and winning the war. I'm going to surprise you by having only two screen captures for a three hour movie. In my opinion, there are only two people to show. They are the film. Patton is a complex movie about a complex man and complex time. Don't miss it.